Ministry of Defence Recruitment 2017- 9 nos Mazdoor in Defence 50 Coy ASC (Sup) in Nagaland: Last Date 30-06-2017. - Jobs4NE : Jobs in Assam and North East India. 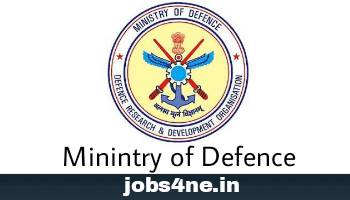 Ministry of Defence Recruitment 2017- 9 nos Mazdoor in Defence 50 Coy ASC (Sup) in Nagaland: Last Date 30-06-2017. Ministry of Defence has issued notification to invite applications for filling up the 9 nos post of Mazdoor in Defence 50 Coy ASC (Sup) in Nagaland. Last Date for Submission of Application: 30-06-2017. Qualification: Matriculation/ 10th Pass from any recognized board/ institution. Age Limit: Maximum 25 years for General candidates and 30 years for ST candidates. Selection Process: Through Written Exam & below given physical test. (i) Running 2.4 KM in 9 minutes 30 secs. (ii) Chin up 9 times continuously on counts. (iii) Sit up (Uthak-Bethak) 35 times continuously on counts. (iv) Push up 25 times continuously on counts. How To Apply: Application on foolscap paper (A-4 size) along with attested copies of all essential documents, two passport size photograph and a self adressed envelope stamping Rs. 25/- to be forwarded by Ordinary post to Officer Commanding, 50 Coy ASC (Sup) Type ‘C’, PIN- 905050 C/o 99 APO. The envelope containing the application form must subscribed with "APPLICATION FOR THE POST OF MAZDOOR".